Make your Dubai vacation Mission Possible with Pickyourtrail. You thought the Dubai Fountains were just for show and tell? You thought wrong. Climb aboard the Floating Boardwalk and get a closer look and feel of the fountains. Located 9 metres away from the fountains, the 272 metre long boardwalk starts from the bottom of the Burj Khalifa and extends all the way to the fountains. Take a walk to enjoy the magic of the fountains from up close but be warned – you’ll be soaked soon. Among many stay experiences in Dubai, this is one of the most (recent and) unique. Spread over 4 decks, 414 cabins and several underwater restaurants and bars, the Floating Venice is the world’s first luxury vessel resort. 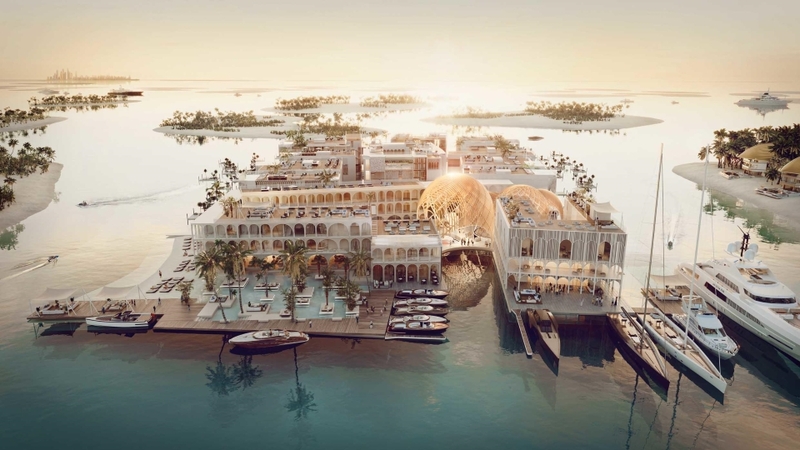 Not just that, the resort promises to hold true to its Venetian connect with its own Piazza San Marco, canal-side walkways, Venetian-style shops and gondolas. Fly or boat your way to here. Or just take this autonomous air taxi. نحن بانتظاركم يوم 1 نوفمبر.أين ستذهبون فور دخولكم #القرية_العالمية؟⠀ ⠀ #GlobalVillage awaits you all on the 1st of November. ⠀ What’s the first thing you’ll do on your first visit? Obviously, Shakespeare never got to visit Dubai now! Welcome to Global Village – a fun theme park to get to know cultures, cuisines and more of different countries around the world. 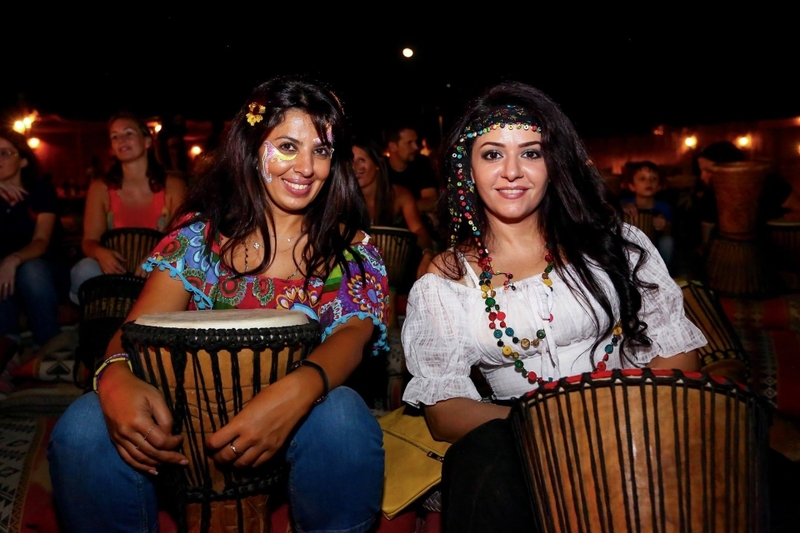 An entertainment centre, Global Village isn’t just restricted to dining and shopping. From live performances to wild rides to grabbing a close look at authentic crafts and merchandise from around the world, Global Village is running 20th successful season. Grab your tickets here, and your Dubai vacation here. 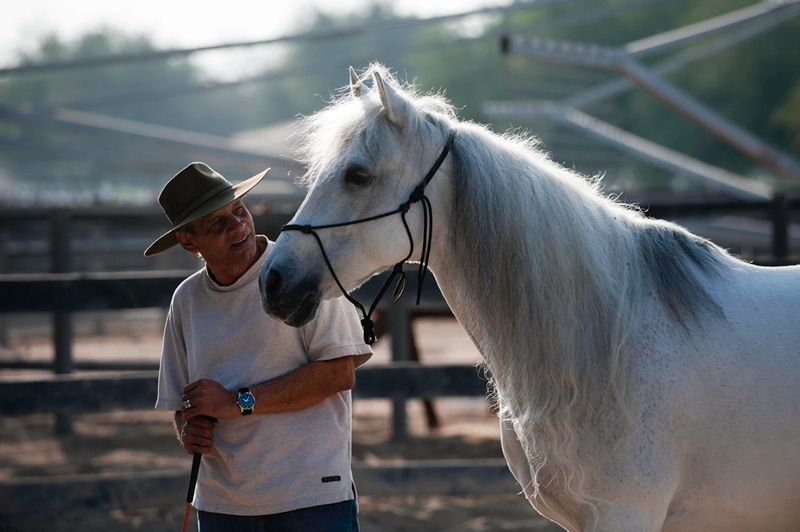 Neigh-l your Dubai vacation with a visit to Hoofbeatz. Mount a horse and perfect your horse riding skills. Want to connect with or befriend them? Hoofbeatz teaches you to learn and perfect SpeakHorse or horse whispering. On days when the desert sun is too strong, Hoofbeatz has you covered with its air-conditioned pavilion. So, grab your horse mate and go riding! #5 A Space Bar . . Ever wondered what the insides of Star Wars’ Millennium Falcon would be like? Well stop wondering and enter Dubai’s High Mile Club. Before you let your imaginations run wild, hold up, we are talking about a bar in Dubai. Designed to look the like the inside of a spacecraft with a blue, this is good news for all you desis out there. Why? It serves affordably priced drinks with sides punctuated by Indian cuisine. Forget surfing. Instead, try skimboarding – bringing to you the best of both skateboarding and surfing. Riding your skimboard – much smaller than a surfboard – you catch a wave as it swells and ride it to the shore. Itching to pick up a surfboard and ride the turf at Dubai? We have the perfect remedy: a Dubai vacation. You’re welcome. Well, not technically a selfie but still. 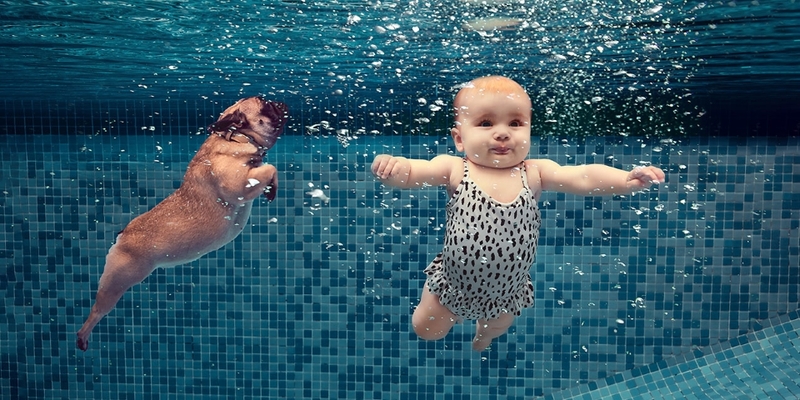 Nothing will beat a sweet photoshoot underwater. Choose your location, a coordinated outfit and get clicking. Put them out on social media and get your friends fawning over the awesomeness. Check out Underwater Studio for more. Speaking of photos and social media, check out these top Instagram spots of Maldives. And by splurge we mean really splurge. Scoopi is after all home to the world’s most expensive ice cream – the Black Diamond. 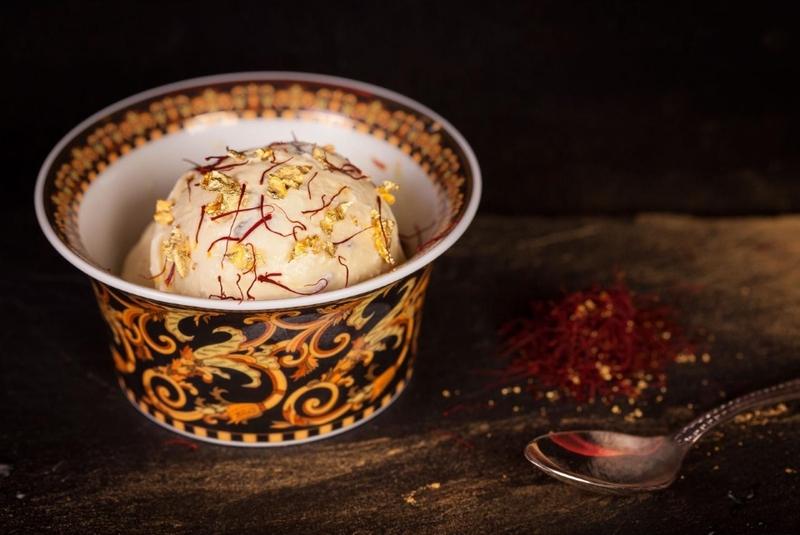 Bringing the best from all over the world, the ice cream includes vanilla bean ice cream from Madagascar, saffron from Iran, black truffles from Italy and 23 carat gold. Costing Dh 2,894 it is served in a Versace bowl – to sweeten the deal. Set on Jumeirah beach road walk in here to find sweet release when the day gets too hot. For the budget-happy travellers, the other ice creams start at Dh15/scoop. Talking of food, check out this foodie paradise – a Food themepark in Italy. You thought the gold obsession ended with a meagre ice cream? Oh, my sweet summer child. Welcome to Burj Khalifa – there are views to awe at from the Observation Deck here. But that is not all. You can vend gold from this one-of-a-kind gold vending machine that provides you anything from a 24 carat gold coin to an ounce of gold bar. If you are feeling rich and class – just walk up here and vend some gold. The machine displays real-time prices so you won’t be in for a shock. This way have just surpassed the fine line between quirky and weird but bear with us. The five hour experience involves banging the drum with complete strangers as you are treated to some heart-warming Bedouin food, sheesha and, of course, the good conversations that come with that. Organized by Dubai Drums it happens in the middle of nowhere in the Dubai desert – 40 km away from the city. For the children, there are boards they can pick up and sandboard on the dunes nearby. While you are at it, try these incredibly free things too! But to discover the real Dubai, you need to head out there and explore it for yourself. Need help with that? For more travel inspiration, stories and news keep following Pickyourtrail!